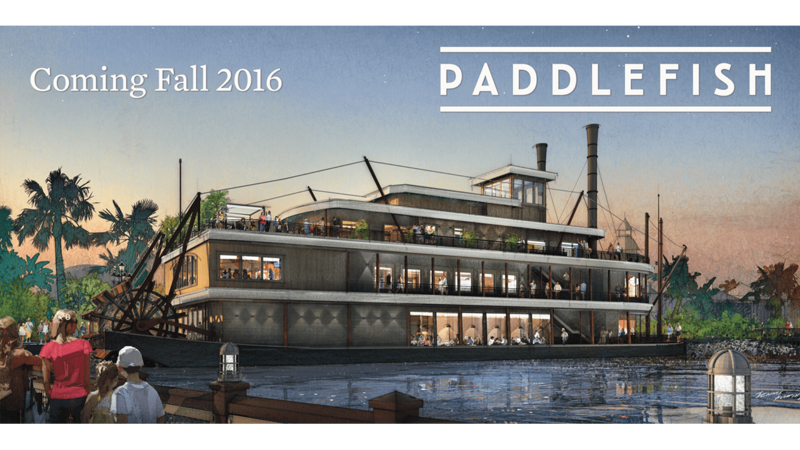 Fulton’s Crab House is currently under refurbishment, and will reopen this fall as Paddlefish: a reimagined restaurant with a new concept that reflects a modern luxury yachting theme. Paddlefish will serve fresh seafood, steaks and chops, a catch of the day, and composed seafood entrees such as lobster risotto with poached Maine lobster, saffron and Meyer lemon oil and redfish with coconut milk, crab broth, tomato, peppers and ginger. Fan favorites including Florida stone crab, Alaskan King and Queen crab, and lobster corn dogs will be back. A fun new addition is lobster guacamole made tableside with Maine Lobster, chilies, cilantro, lime and tortilla chips. And there’s a “build-your- own boil” so you can pick your own ingredients and seasonings. 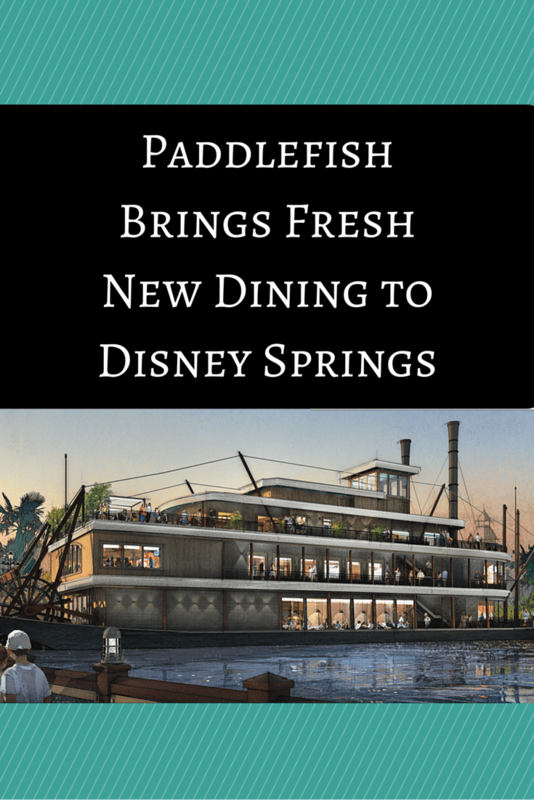 The sleek and modern design of Paddlefish includes a new rooftop lounge, open until 2 a.m., with spectacular views of Disney Springs and the water. The lounge will have a separate menu of eclectic dishes perfect for sharing.